No one wants to see a potential customer leaving the website before it monetarily transact. 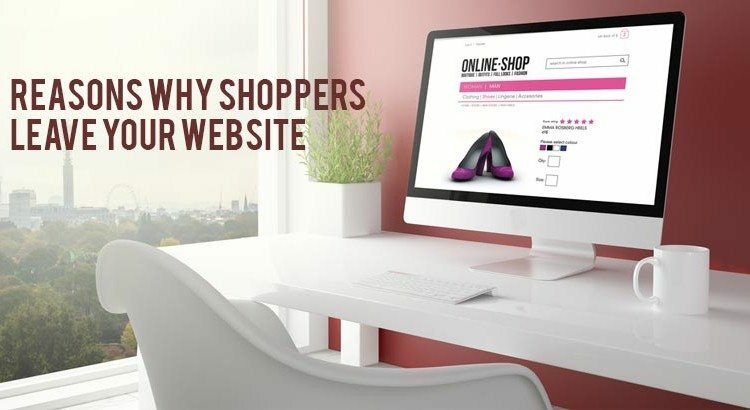 Since the eCommerce world has endowed people with great features, theirs interests have deliberately switched to shop online for their convenience factor. Now they don’t have to leave their place to hop from one shop to another to finding the best deal in the market. All is now just a click away. With the web in your hand, it’s easy to find seamless varieties of products without getting tired on best deals. Every 1 in 3 shoppers, shop online in the US. The convenience of online shopping entices shoppers, and they reap the benefits of eCommerce, without needing to negotiate over the price etc. However, being a shopper and being a seller has a difference. Not every eCommerce turns out to be like Amazon.com. If you find yourself in the list of those businesses that are facing card abandonments and witnessing huge amount of shoppers bouncing to another portal, then it’s time to map out the real reason: why things are happening that’s derailing your eCommerce biz before you even started? Making a website isn’t the end of your website’s development. It’s just a beginning to handle a portal that requires your attention and updates to influence not only yours visitors, but search engines as well. Search engines spiders crawl in every website and easily figure out which website is working on its optimization: Meta-tags, Meta-descriptions, Blogging, On-site Content etc. Did you know? 80% of people having smartphones often shop online every now and then. The number will increase as smart TVs and tablets are gaining popularity and sales graph is rising. 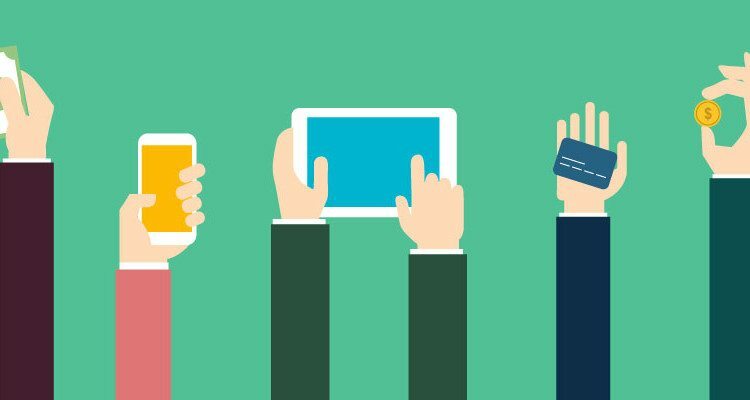 Hence, you need to ensure proper optimization of your website so the shopper can easily do cross-channel shopping and it will be easy to target them across multiple devices until the final payment is not done. It’s one of the emerging marketing tactics and it gives you an edge over your rivals who are staying delusional about the importance of doing proper web optimization. Know that SEO isn’t dead. Don’t let yourself count among those who fail to properly utilize the SEO efforts to their portal. I have talked about it many times on my blog and will keep on talking million times more because these things matter and as a blogger; it’s my duty to remind my readers to keep checking their website speed using various tools available on the web. Imagine yourself a mobile user and trace those websites, especially eCommerce that take more than 10 seconds to load. Observe your behavior and ask yourself, do you want such kind of website to influence users the same? If your answer is a big no, then you know what you have got to do. List of common issues related to slow loading speed: poorly optimized website, slow server or server issues, too many pop-ups, database problems. In an industry survey, 73% people hate seeing pop-ups. It annoys them. If your website has numerous of those, then no matter how great your website is or how flawless is content is, the annoyed user will not waste time to switch to the other portal. Until your pop-up doesn’t go away by clicking ‘X’, then you are simply harming your online visage and will keep driving people to your rivals’ website. Earning online visitors is too hard in a highly competitive world – and if your poorly optimized website is adding fuel to the fire and serving things that people truly dislike, then you are hammering you’re all golden chances to stand out of the crowd and to offer a clear and clutter-free portal on mobile devices. Might be the pop-ups aren’t so annoying on the desktop, but on PC, everyone seems to lose their sanity seeing those again-and-again on a website. Again, walk in shoes of a customer who is seeing too many pop-ups on your website. How will you feel? Won’t you simply close the site and find a better alternative have a better user experience? Without offering great customer service, you can’t achieve your business goals or even run it for a longer duration. Imagine yourself a smartphones manufacturer. In an overnight, your marketing video for the product got viral, as it was truly addictive, refreshing and captivating. Order started coming, and at one point, it got uncontrollable, but somehow you managed. Phew!!! The phones got delivered to their respective owners, but that’s not the end. Your phones started giving problems after 3 months, like OS issues, heating problem etc. Buyers rushed to your company’s service store. However, the store with who you partnered to handle your company’s after sales department turned out to be ineffective and inefficient to assist people in repairing their phones within a deadline; a monumental mismanagement in the history of your start-up that did cost you heavily. Hence, people got angry and done ‘word-of-mouth’ marketing, posted on social media about your company etc. If the above part sounds scary and true, then you know the real importance of customer care department. Your duty just not ends with selling a product, but also helping people to solve their queries etc. When you are running an eCommerce, having chat support is critical. 29% of shoppers like to ask their queries from the chat department. The numbers will keep on increasing, as people are using mobiles for nearly every digital need. The ‘LIVE Chat Box’ feature should be properly integrated with the mobile device to leverage the better benefits in the longer run. Besides credit/debit cards, integrate PayPal as your third prominent payment option. People earning $50,000 – $74,999 usually prefer PayPal as their primary mode of payment. When you are working on your website’s payment gateway, figure everything that can ease your shoppers’ journey until they do not make the final payment. If your business operations are serving locally or whichever city you are targeting has at least one store of your business, then you can display ‘pick-up’ from store option. In a survey, 44% of the 3,000 preferred to visit the local store of the company and see the product before making the payment in cash. For instance, Dominos or other food chain outlets have these schemes going on and many people order from their phones and pick it on their way to their destination. If you want some innovation, then you can consider that option. You might be thinking that you are running an electronic portal, so why some need to book the order from the website and pick up when he/she can visit the store and do it there? Well, sometimes the product is in high demand, and if someone books it online with pick up from store option, then the person booking the product has at least chances to see the product before buying it. Besides that, shop cross-border sales are getting prevalent in the modern world of marketing. Imagine having a good number of foreign visits on your site. The best idea is to offer a translated page in their native tongue so they can understand the website better. Many tourists while visiting a new country love to explore shops that aren’t found in their nation, like local cultural shop reflecting the regional culture and vibrancy in the products. Try considering that if your product is exceptionally good and can represent your company in the foreign domains.